Thanks seller. Package received in good condition. Material is great! very comfy ! my hubby loves it alot. he is 178cm 68kg with a little spare tire xD M size is perfect! Received in reasonable timing. The material is not so thick so it's is suitable in Singapore. yes..very nice...well fitted . thank you. Delivery is fast. Quality is ok. Item well received. Material is very soft and colour true to pictured. good quality and well received. Can this item be delivered until Friday if I place an order today? Welcome to QOO1010 Shop! Qoo10 Best Selling Shop! The Chinese public holidays from 25 January -19 February 2019. Sellers, shipping companies, will be on holiday to celebrate the traditional Chinese New Year. Orders before 25 January will be sent out before holiday. Orders after 25 January will be shipped out after holiday. You can still leave messages to us,However, due to understaffing, our response time to emails may be delayed. We will try our best to reply as quickly as possible. May I know if order today, can delivered to me by Sunday? Or if u can pickup? Welcome to ANNEWANG1 Shop! Qoo10 Best Selling Shop! Dear Seller, for my Order no. 260945865 and 260945866, may i know when will the items be send over to singapore? Able to receive before July? Welcome to ANNEWANG1 Shop! 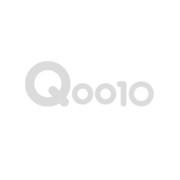 Qoo10 Best Selling Menswear Shop! The Chinese public holidays from 1 February - 26 February. 2018. Orders before 1 February will be sent out before holiday. Orders after 1 February will be shipped out after holiday. Able to recieve goods by 14feb? Kemeja Batik Pria Collections 2 - Kota Batik di Pekalongan - Best Seller Batik Ever!